Located on Highway 299 about 10 miles west of the City of Redding. Find out about upcoming musical performances, comedians, Broadway-style productions and more. The City of Shasta Lake is just north of Redding. The City of Anderson is just south of Redding. The official page of the Shasta County's government. Talk radio and news for the Redding area. Shasta Head Start - Child Development, Inc.
CalTrans webcam at i-5 and Fawndale Rd. CalTrans webcam i-5 and South Bonneyview Rd. NOTE: At last check, the Yahoo and MapQuest maps above didn't show the way State Route 299 was re-routed through the City of Redding. 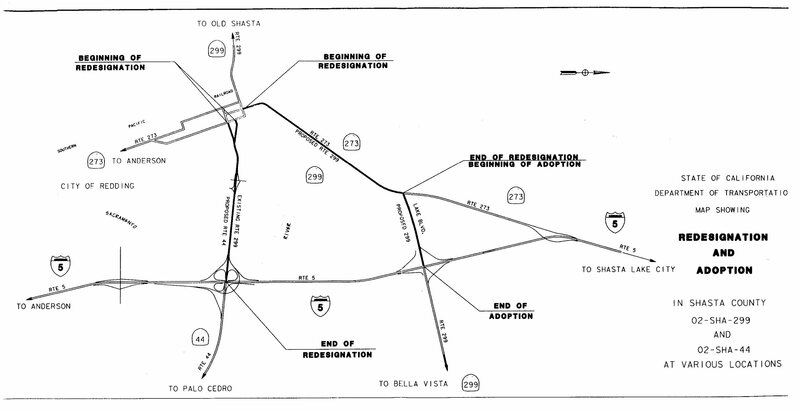 The route change also included designating a portion of the old 299 route as an extention of Highway 44. 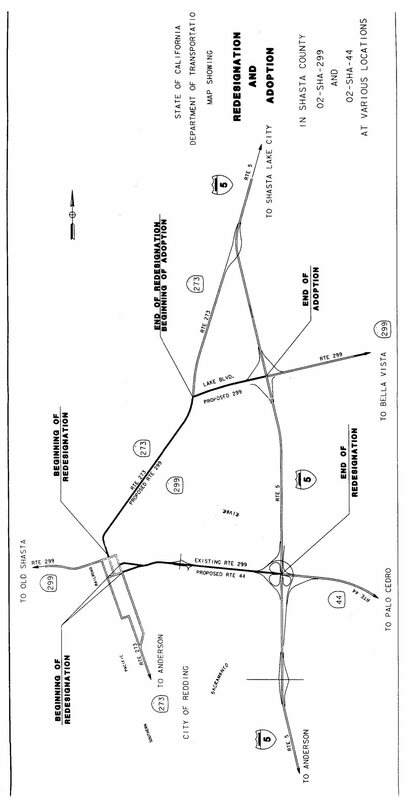 The map below shows the new route for 299. The "proposed" route on the map below is the new 299 route. The Google map correctly shows the 299 route through Redding. Information about Shasta Lake houseboats, resorts, camping and recreation. The official website of the Shasta Lake Business Owners Association. A source of tourism, recreation and travel information for northern California. KESR 107.1 "Jack FM - playing what we want"